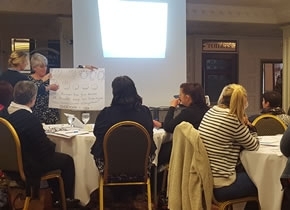 Catch Up® Literacy and Catch Up® Numeracy are now used in over 75 schools in Birmingham and since we launched our first Regional Training Centre – in Birmingham, in 2014 – we have trained over 300 teaching assistants and teachers in this region to deliver the interventions. This month, we are running a lunchtime seminar celebrating how Catch Up® is making a difference to struggling learners in Birmingham. This event gives Birmingham school leaders the chance to hear from other schools about how they are using Catch Up® to narrow the gap for their struggling learners, and about the impact these proven literacy and numeracy interventions are having on Birmingham schools, teachers and pupils. This event is suitable for senior leaders, and up to three people from your school may attend. Attendance is free (and lunch will be provided) but space is limited – if you would be interested in attending email us now to secure your place(s). We look forward to celebrating and sharing the work we are doing to help struggling learners in Birmingham. 22 Mar - Voucher winners! 12 Mar - 21 years of Catch Up® – survey completed! 07 Mar - Book your training for next term now! 08 Feb - Lynne’s logic – looking at 2019! 15 Jan - Expand your Catch Up® success! 11 Jan - Are you using the Catch Up® Progress Reporting Tool yet? 11 Sep - CUAT Conference, July 2018 – Our Trainers’ turn to be trained! 06 Sep - Save time! Use the Catch Up® resources at your fingertips! 11 Jun - Voucher winner! 22 Feb - Would you like to be part of the Catch Up® team? 15 Feb - What resources do I need to buy for my Catch Up® sessions? 09 Feb - Three schools talk about their Catch Up®success! 05 Feb - CUAT Conference, January 2018 – Our Trainers’ turn to be trained! 22 Jan - Voucher winners! 11 Dec - 62 courses now ready to take your bookings! 04 Dec - What should I do if a pupil adds extra words when reading? 20 Nov - Announcing two 2018 lunchtime seminars! 07 Nov - 3 is the magic number! 03 Nov - Are you attending a Review and Refresh session this term? 13 Oct - More book sticker templates! 15 Sep - Voucher winners! 14 Sep - Have you attended a Review and Refresh session? 06 Sep - CUAT Conference, Summer 2017 – Our Trainers’ turn to be trained! 14 Jul - The impact of Catch Up® in Birmingham! 06 Jul - Catch Up® success in London! 14 Jun - Voucher winners! 08 Jun - Great Support for Catch Up® Coordinators! 15 May - Additional training sessions free for you – book online now! 12 May - Who is your Catch Up® Coordinator? 08 May - The Catch Up® Coordinator Part 2: Who is the Catch Up®Coordinator? 25 Apr - The Catch Up® Coordinator Part 1: Why do we need one? 12 Apr - ‘Managing Catch Up®’ training videos now in Welsh! 21 Mar - Lynne’s logic – Tables! 02 Mar - More than 15 minutes? 20 Feb - Assess and progress! 14 Feb - Vouchers and prizes! 10 Feb - Running addicts and Dad’s Army – have you met the Catch Up® office team? 03 Feb - CUAT Conference, January 2017 – Our Trainers’ turn to be trained! 23 Jan - The Review and Refresh session – part of the package! 12 Dec - An update on the Progress Reporting Tool – coming very soon! 09 Dec - To point or not to point? 29 Nov - There’s now even more to Catch Up® – in North Wales! 17 Oct - Have you used the new ‘Managing Catch Up®’ videos yet? 12 Oct - Is Catch Up® really appropriate for both primary and secondary schools? 04 Oct - Celebrate your learners’ success with Catch Up® certificates! 21 Sep - Log in for even more support! 14 Sep - There’s now even more to Catch Up®! 11 Apr - Suffolk schools: Get 50% of your Catch Up® training funded by the Raising the Bar 2015-17 Challenge Fund! 04 Apr - Thank You! 21 Mar - Catch Up® lunchtime seminar in South Wales! 01 Mar - Book your Summer Term training! 18 Feb - 4 top tips and 3 lovely quotes! From our Birmingham schools…. 11 Feb - Pupils not 'secondary-ready'? Is Catch Up® the answer? 08 Jan - Helpful leaflets for parents and carers – 3 new numeracy leaflets now available! 04 Jan - When should children move onto phase 2 of Catch Up® Numeracy? 14 Dec - How does a pupil get to Catch Up® Literacy level 12? 08 Dec - Reflections on a yearful of training! 04 Dec - Is there an optimum age group for particular maths skills to be learnt? 02 Dec - Book next year’s training! 10 Nov - Which comes first - reading or spelling? 19 Oct - When is the best time to hold Catch Up® sessions? 16 Oct - Have you had your Catch Up® review session? 13 Oct - Does Catch Up® fit Ofsted requirements? 14 Sep - Catch Up® Digital Games on the new website! 11 Sep - Catch Up® Numeracy – new activities now available! 08 Sep - Updated website!! 15 May - Is Catch Up® Literacy suitable for pupils with dyslexia? 18 Mar - Interventions with Impact conference - 8 days to go! 17 Mar - Welcoming Norwich and Callington! 12 Mar - Catch Up® Literacy review session - running as a webinar this July! 21 Jan - What do Ofsted say are the most successful interventions? 19 Jan - 8 Regional Training Centres launched! 19 Jan - A new Catch Up® Accredited Trainer! 10 Dec - What do you think of Catch Up®? 10 Nov - Are you providing effective feedback? 29 Sep - Announcing our 2015 conferences! 29 Sep - Has Catch Up® Numeracy been updated for the new National Curriculum? 15 Jul - Catch Up® caught up! 08 Jul - Could you win a Catch Up® Excellence Award? 22 Apr - Numeracy in the revised curriculum: How does it add up? 03 Feb - Overcoming disadvantage conference 2014 – new venue! 15 Oct - Catch Up® Excellence Awards - now launched! 17 Sep - Have you been 'Hattified'? 12 Jul - From Approved to Accredited! 12 Jul - Catch Up® caught up! 12 Jul - Does Catch Up® Literacy improve Reading Comprehension? 18 Jun - How do I get more Catch Up® training? 09 Apr - Who trains the Catch Up® Trainers? 20 Mar - Looking for ideas for learners who struggle to understand the relationship between mathematical symbols and reality? 19 Feb - Cwmlai Primary School and Ysgol Melyd achieve Bronze! 12 Feb - Looking for good ideas for learners who no longer need Catch Up® Literacy? 07 Feb - Grant application success! Catch Up® is the working name of The Caxton Trust, a not-for-profit charity registered in England and Wales (1072425) and Scotland (SC047557) as well as a company limited by guarantee (03476510). Catch Up is a registered trademark.